On the eve of the Diamond Jubilee weekend, chandeliers sparkled high above a sea of artists’ colors, including my own giclée prints, pictured here with me (left) during Friday’s private view reception at the Untitled Artists Fair. Although less figurative than mine, I noticed that another artist, Rachel Jeffery, as I aim to do, also appears to use light and heighten color in her work (lower right). Rachel came up to exhibit on King’s Road, with her paintings of sunny, Cornish rock pools, all the way from South West England, where I was actually raised! 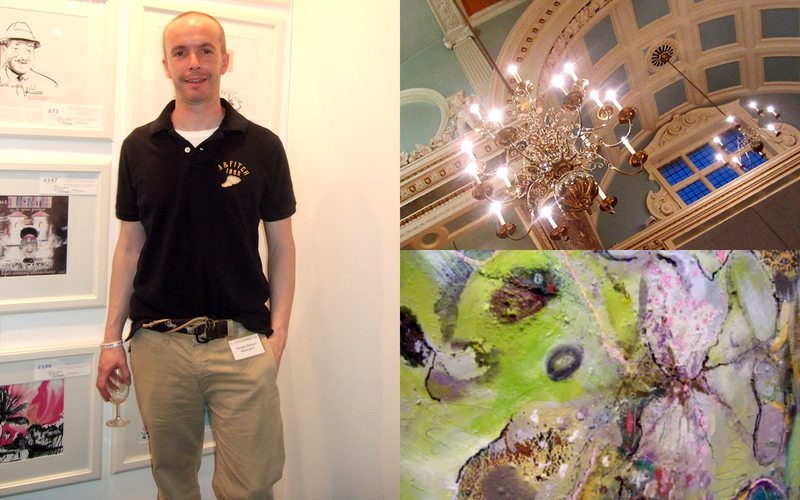 Artist Douglas Rickard and his giclee prints, left, at Untitled Artists Fair, Chelsea Old Town Hall, upper right, and painting by Rachel Jeffery, lower right. 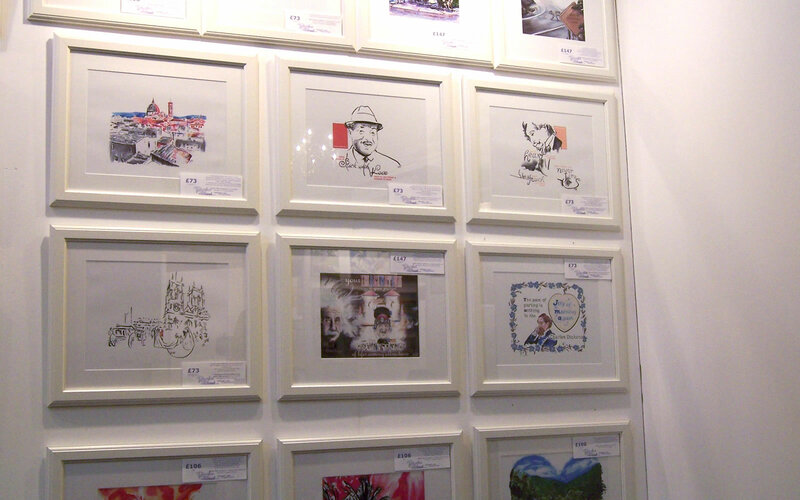 British artists filled two halls on King’s Road, Friday night, the start of the Diamond Jubilee weekend, for a private art view in Chelsea. Myself (pictured left) with Sarah Pye were among those who exhibited our art along with photographers’ pieces like Pauline Fowler’s (right). Pauline’s deep and beautiful animal photographs, which looked like paintings were my personal favorites out of the entire Untitled Artists Fair! 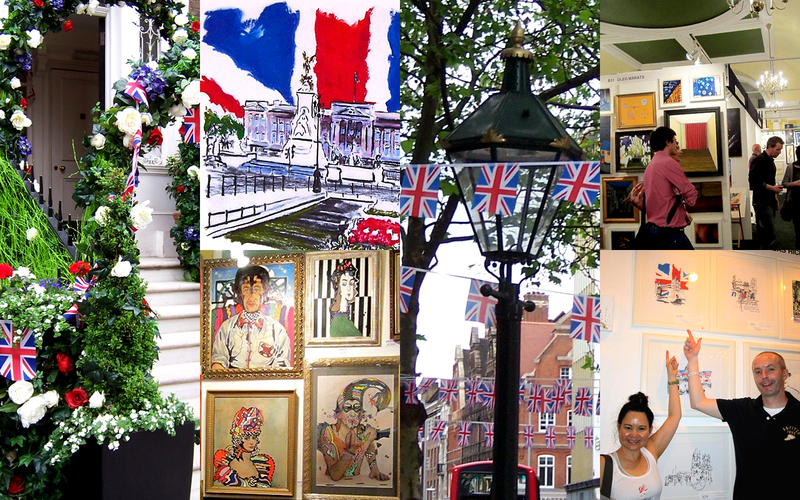 Private art view in Chelsea, London. 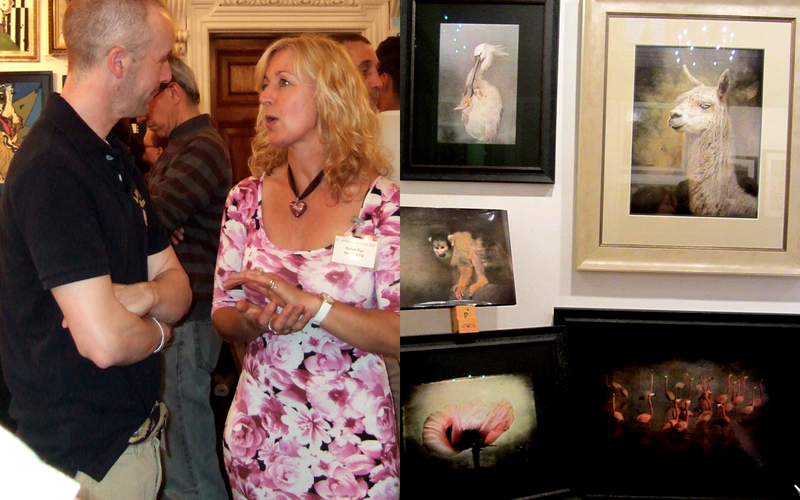 Artists, Douglas Rickard with Sarah Pye, left, and photography by Pauline Fowler, right. Here’s my wall of framed, giclée fine art prints ready to be taken home by visitors to Chelsea Old Town Hall this weekend, on the Kings’ Road! The other artists’ work at Untitled Artists Fair is so colorful and I’m sure you’ll enjoy meeting them, as well as myself of course! Friday June 1st 5.3Opm-9pm Private View (invitation only) | Saturday June 2nd 10am-7pm Free Entry | Sunday June 3rd 11am-5pm Free Entry. Nearest tube station: Sloane Square. If you’re undecided about visiting London during the Jubilee celebrations, I have to say, that the atmosphere here is amazing… and you’ve never seen so much bunting!